Dog shedding is a real problem in my home. Up until last year, I had a dark-furred dog and a light-furred dog, and cream carpets. Now, I have three dark furred dogs, and cream carpets. For as many years as I can remember, I've experienced a seasonal shedding problem that, for alternate weeks, sees my home covered in light dog hairs and then dark dog hairs, now it's just dark which covers the carpets throughout. It's devastating and even with a pretty good vacuum cleaner the work is endless. I spot tumbleweeds of dog hairs floating around every few hours and I quite comfortably could scream while thinking 'why did I bother, I should have sat on the sofa and caught up on the soaps', says Kim O'Meara. Further, I'm a person who likes dark clothes yet my clothing still gets the full brunt of this shedding problem. I go out and notice hairs sticking to jumpers, jeans, jackets - even the seats of the car. The dogs get brushed regularly with a supposedly non-shedding dog brush, but it has little effect. So what is the solution to the perennial shedding problem? Is It Actually Possible to Stop a Dog From Shedding? In all likelihood, stopping a dog from shedding its fur as the seasons change is probably best tackled from a management point of view rather than from the assumption that shedding can be completely stopped, particularly in long haired dog breeds. However, a shedding dog really can cause untold extra work around the home so let's examine some of the tips to reduce the volume of fur shed as well as some management tips on dealing with shed fur on furniture, clothes etc. What About Non Shedding Dog Breeds? Conclusion: Can I Stop a Dog Shedding? Do you arrive at the office looking like you rolled over with your dog? Do your dinner guests politely pick dog hair from their food before eating it? Nothing says "I have a dog" more than hair clinging to our clothing, hair wafting through the air in our homes, or hair burrowing into the butter. Frequent vacuuming is one of the best ways to cut down on hair buildup, but if you don't always have time to drag out the vacuum cleaner, try some of these quick and dirty suggestions for cleaning up the piles of pet hair. 1. To sweep up loose dog hair from hardwood or vinyl floors, use a dampened mop. 2. Wall-to-wall carpeting holds down the hair more than hardwood or vinyl floors, so adding a carpet to a room may help keep dog hair from wafting through your house. 3. To pick up loose dog hair that is attached to upholstered furniture, wear a dampened rubber glove or use a damp sponge. 4. Use a sticky roller to lift dog hair from fabrics and upholstery. Washable sticky rollers enable you to recycle instead of dispose of the product. 5. Purchase a washable Furniture Magnet Pet Hair Remover to help you wipe off the dog hair from clothing, furniture, or pillows. Place it under your furniture cushions for easy access. 6. To pick up dog hair from your carpet, use a window squeegee. 7. Choose furniture made from smooth fabrics such as leather, faux leather, or other fabric to which loose hair won't stick as readily. 8. Place a washable towel or blanket over your dog's favorite sleeping spot to keep hair from clinging to cushions. 9. Use washable window coverings if your dog likes to watch the world go by from the floor in front of a picture window or patio doors. 10. Draperies made of smooth fabrics won't attract as much hair as heavy textured ones, so if you're in the market for some new window furnishings, purchase ones that are less likely to become filled with your dog's hair. 11. Keep a lint brush near your favourite easy chair. Then, after your dog sits on your lap, you can roll off the hair before you get up. 12. Use a feather duster or device to clean between slats of mini-blinds to remove deposited hair. 13. Change the furnace and air conditioner filters more often during shedding season to prevent blockage. 14. Find a grooming brush that gives you the best results and regularly bathe your dog. By grooming, you'll brush out as many of the soon-to-be-shed hairs as possible and by bathing, you'll wash away those hairs which were brought to the surface but wouldn't quite come away with the brush. The best dog shampoo for your dog's coat and skin is out there, so once you have it and your grooming brush in your toolkit, you're set for success - albeit probably temporarily, so it's a routine you'll need to keep up. The following breeds of dogs are often referred to as 'hypoallergenic dog breeds'. Sadly, the hypoallergenic dog is a myth. However, these breeds are certainly more compatible for people who want a dog that sheds less than, say, an Old English Sheepdog. The coats of these dogs must be maintained through grooming every few months. The Irish Water Spaniel is a friendly dog that likes to exercise and swim during the warmer months of the year. The Soft Coated Wheaten Terrier is available in four varieties, the Traditional Irish, Heavy Irish, English, and American. The main difference is the size of the dog. The Soft Coated Wheaten Terrier has a short coat that does not shed much during the day. The dogs will need to be groomed as often as other shorthaired breeds in order to prevent clumping or rashes on their skin. The Soft Coated Wheaten Terrier is characterised as being friendly and will always welcome strangers. They enjoy getting their exercise and want to be around people as much as possible. These dogs should not be kept in an apartment. Having a backyard ideas is a must as this dog loves to run and bark. Bedlington Terriers are smaller than the Irish Water Spaniel and Soft Coated Wheaten Terrier, but they have short coats which need to be brushed a few times a week to prevent tangling. 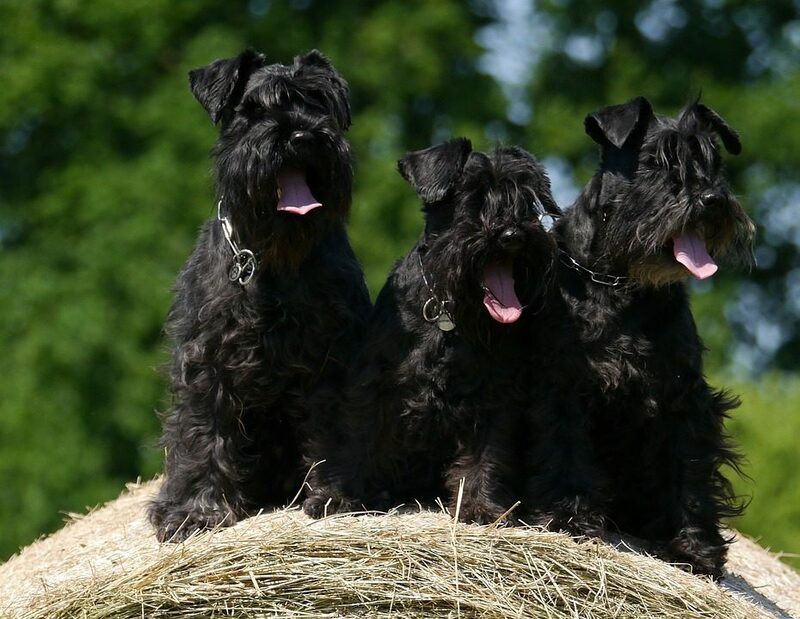 They will also need to be groomed every three or four months in order to maintain a healthy coat. These dogs are energetic and enjoy exercise. For those who are interested in low shedding dog breeds and who live in apartment buildings or smaller homes, this dog is perfect. Question: My dog is shedding too much hair, it's a problem. What can I do? As they say in life, you can overdo any good thing. If you keep him “immaculate at all times” then I would assume that his diet is also the very best, probably supplemented with vitamins and minerals that his system really doesn't need. This happens all too often. Owners who have nothing but good intentions run out and try to do everything possible to make sure their dogs and puppies are in good health. They buy all of the supplements, they attempt dog training from every angle possible, and they just plain go overboard on care - often mentally or emotionally debilitating the animal is some way. Only a veterinarian can properly diagnose which of these three things may be causing your dog's problem. Schedule an appointment immediately and be sure to write a detailed list of all supplements and food intake that your dog has had over the last several months. The importance of diet in relation to shedding problems in dogs can't be overstated. In fact, ensuring your dog is being fed the correct diet has a bearing on everything from their weight, general health and vitality and even the way they behave. No, it's not possible to totally stop a dog shedding. But you can certainly take action steps to reduce shedding in dogs, to manage the shed hairs around the home and on clothing and, if you are looking to acquire a dog, you can certainly choose low shedding dog breeds rather than pick a dog that is likely to shed significant amounts of hair even if you take all of the above action steps. Would you like more in depth tips on caring for your dog's coat? My dog tends to shed more when the season changes. I find that shedding is reduced by bathing the dog and brushing at least once a day. As far as keeping the home hair free I vacuum every 2 days. All dogs shed, some more than others. These suggestions are great! Another is DoggyHairNets – they control shedding dog hair. Really. And they look great! Where do I find a DoggyHairNet for a 55lb Australian Cattle Dog (blue heeler)? And is there a pill you can give a dog to keep them from shedding so much? I have a 10 month old pure bred golden retriever and i give her a trim every time she looks like she needs it, makes her less warm and she sheds way less! I have been ordering some gravy type food supplement -ShedNoMore- for about $20 a bottle, convinced that it was helping. I’ve been out for a few days and the shed hair volume has cranked up considerably. Does anyone else have info on this stuff? Could the extra omega oils it contains cause problems (too much fat in their diet?) Before I order more, am I delusional or can you only hold it off so long before the dogs simply must shed or, being spring in the south, is this seasonal? I heard a long time ago that cottage cheese is good to reduce shedding but have not found any remarks on it lately. I know dogs are not to have MILK, but what about the cheeses etc we feed them. I have Pomeranians and one sheds badly. The other is a blow her coat once a year then she is done. Now you tell me. I would like to know will the hair just keep coming out? I keep brushing and brushing and it keeps coming and coming, I figured I would know when i was done when it stopped, but it doesn’t stop, should i keep brushing? I have golden retrievers and chihuahua’s. When the Golden Retrievers shed it is way worse than the little dogs, but it only happens a couple times a year. The chihuahuas on the other hand…shed constantly! I think long haired dogs are less likely to be a constant shedder than short haired dogs. I have a German shepherd boxer mix he is 8 months old and weights about 40lbs, he sheds to the point that I could make two of him. I brush him and it’s still as bad. Is there anything I can do to reduce this? Or is it just going to get worse as he grows. Hi I think your dog may have a dietry or hormonal imbalance or some sort of parasite I am not a vet, its just what I have read, you need to take him to the vet as this won’t get better on it’s own. I groom dogs. I suggest brushing out the coat really good till you get little to no shed hair then bathe the dog with a good quality deshedding shampoo like the furminator shampoo. Wash the dog with really warm water this will help open the pore and release the remaining under coat that wasnt picked up by the brush. I alway wash a double coated breed twice and condition once just help get most of the coat out. Next get out the blow dryer and put it on cool or warm never hot the hot setting can damage or burn the skin causing a worse shedding problem. Now brush and blowdry at the same time this will get the rest of that remaining undercoat out of there.it is good to do this ever 3 to 4 weeks. Aleave in conditioner also tends to help after each brushing which you should do atleast every other day. Hope this helps. And ONE simply solution get the right brush and comb for the breed and use it at least once a week it takes me 10 minutes to give my full coated Standard poodle a really good brush and comb through no secret she never goes more than three days between grooms less time than it takes me to apply make up every day! Surely any dog should get that amount of time from their owner! My chaua/terrier sheds like no tomorrow all the time. Have used.everything possible. My vet says there is nothing i can do. He. Muust be wrong or just don’t know. She has ruined my car. HELp!! For most dogs, it might be a case of brushing them regularly, to get rid of loose hairs, as you would with a cat. Sometimes diet or health issues might be a reason for shedding – however, some great tips for us humans! I have golden retrievers and chihuahua’s. When the Golden Retrievers shed it is way worse than the little dogs, but it only happens a couple times a year.